Christina Hendricks was a standout as statuesque, savvy and sophisticated Joan in the MAD MEN television series. She had, what a man once wrote about Mae West, "the Big Ben of the hourglass figures." There was a sharp brain in that curvy body and we loved watching her match wits with the men. HAP AND LEONARD, based on book characters created by Joe Lansdale, was a very smart, relevant and under-appreciated series on the Sundance TV channel. The story took place in the 1980s yet it had a socio-political grit that made it feel modern-day. Hap is the pacifist hetero white guy who did not serve in Vietnam. Leonard is his badass, black Republican and openly gay best friend. Leonard is a Vietnam vet. They are extremely loyal to each other and have been for a long time. The action is set down South and it's all sort of swamp noir -- a crime thriller. In the opening season, there was Christina Hendricks as the femme fatale. HAP AND LEONARD gave Christina Hendricks a vastly different character to play and she knocked that role out of the park. Last year, NBC debuted a new series. Christina Hendricks is one of the stars. Again, we see her impressive range as an actress. The series is called GOOD GIRLS. It's a crime series with laughs and pain. Three working class female friends are so financially desperate that they band together to pull off a heist. I watched the first episode when it premiered. 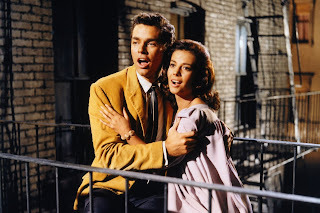 I was hooked within the first 10 minutes and saw every episode of Season 1. I prayed that NBC would renew it. My prayers were answered. 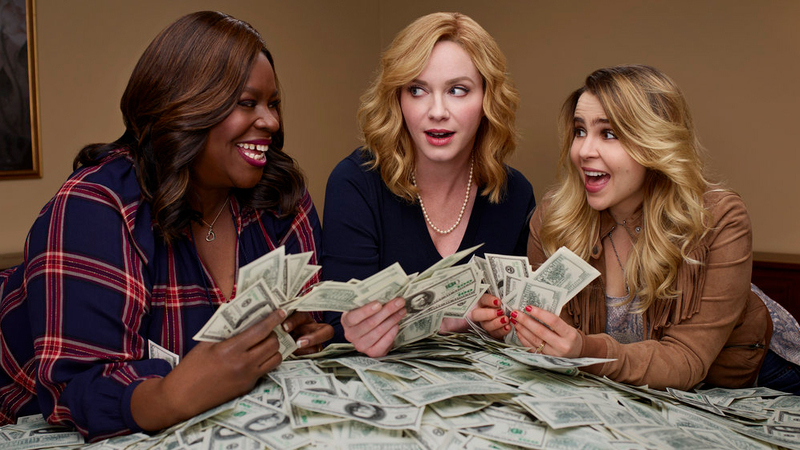 In addition to Christina Hendricks, I also wanted to see GOOD GIRLS because one of the other stars is Retta, the PARKS AND RECREATION sitcom regular who rose from bit player to very popular supporting castmember who had the catch phrase "Treat yo' self!" 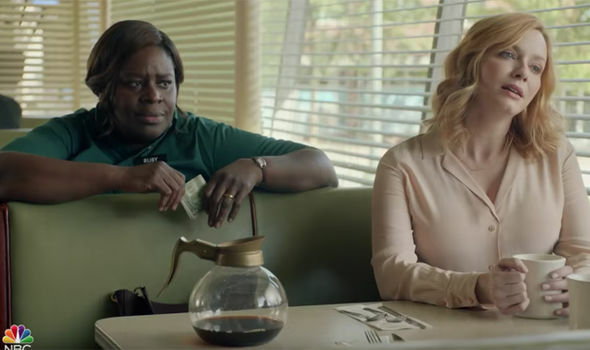 GOOD GIRLS allows Retta to be funny as she whips out some Thelma Ritter-esque comments to the unusual situations the three friends get caught up in. However, she also gets to show her range with some well-written drama. She's an educated woman, a wife and mother, who robs cash because her sweet little girl is hospitalized and needs kidney care. I loved seeing Retta play such a dimensional, complicated woman. She's a loving mother, a loving wife and parent nearly at wit's end trying to make ends meet. This is what I loved most about the series. With these three typical suburban women donning masks and robbing a store, this is the kind of plot that would've been played for big laughs had it been a movie made back in the 80s and starring someone like, say, Bette Midler. But GOOD GIRLS takes us into the drama of each woman that renders her so desperate that a one-time crime seemed the only way out. As one who was hit hard by the Great Recession and went totally broke after using his emergency fund to take care of a parent in her 80s, I can feel the stress those three women have. They have a boss of sorts. Rio is the name of the heavy. 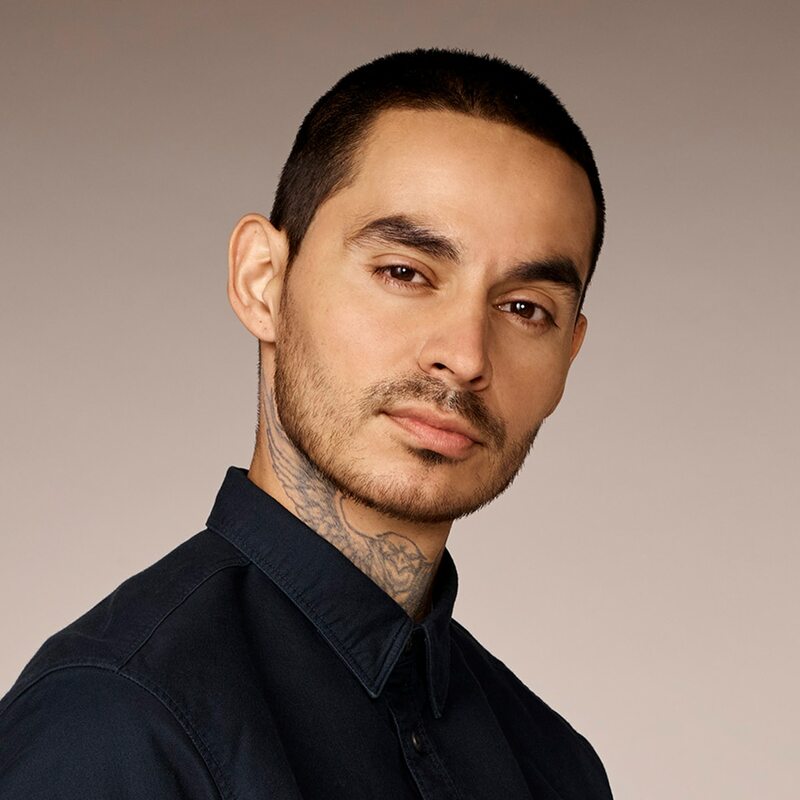 He's underplayed to perfection by lean, handsome Manny Montana. He's got a smoldering look and a voice that will make many female and some male viewers moan "Oooooh, daddy." Watch Rio with wife and mother Beth (Christina Hendricks). At first, he intimidates her. But, as she becomes more desperate and as the situation gets more complicated, she loses fear and you see him quietly become fascinated with how her mind works. Maybe she should be his partner in crime. It's a very good series. Solid writing, brisk direction. One of my favorite scenes has Ruby (Retta) dealing with a bratty, young white male customer. I've waited tables and I've had customers like that dude. He gets his come-uppance from Ruby and it's fabulous to see. 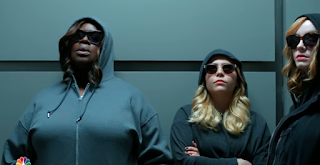 CHRISTINA HENDRICKS, RETTA and MAE WHITMAN are GOOD GIRLS with Manny Montana as Rio. You can see Season 1 of GOOD GIRLS now on Netflix.